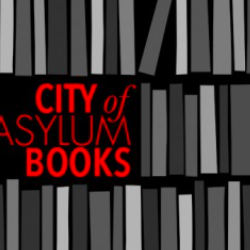 On April 24 City of Asylum/Pittsburgh (COAP) presents the third installment of its Reading of the World series. The event will feature a reading by Poet Laureate of South Africa (2006), Keorapetse Kgositsile, a solo jazz-poetry performance by saxophonist and composer Oliver Lake, and a collaboration between the two. This marks the first time that Kgositsile and Lake have performed together. The reading/performance will be hosted in the social hall of the Youth Fellowship of the Metropolitan Baptist Church. The change of venue increases the seating capacity to a number similar to a COAP tent event, and while the event is free, attendees must still place reservations to claim a seat. 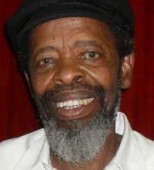 Born in South Africa in 1938, Keorapetse “Willie” Kgositsile was an influential member of the African National Congress in the 1960’s and 1970’s. He lived in exile in the United States from 1962 until 1975. During the 1970s he was a central figure among African-American poets, encouraging interest in Africa as well as the practice of poetry as a performance art. He was known for his readings in New York City jazz clubs. 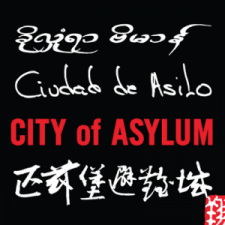 His poetry ranges from the unambiguously political and public to the lyric and confessional. A strong feature of his work is the recognition and celebration of his influences, his friendships with other artists and, in particular, his deep love of blues and jazz. His poetry scintillates and throbs with quotations from songs, references to music and, most importantly, to musicians themselves, as various as Billie Holiday, Nina Simone, B.B. King, Otis Redding, John Coltrane, Hugh Masekela, and Pharoah Sanders. By including jazz references he follows the jazz practice of quoting from one tune while improvising on another. Watch Kgositsile read at a poetry festival in Berlin, 2009. Composer, musician, poet, painter, and performance artist, Oliver Lake is featured on more than 50 recordings. He is an unpredictable soloist known for his piercing, bluesy saxophone trademark. Lake has created chamber pieces for the Arditti and Flux String Quartets, arranged music for Bjork, Lou Reed, and A Tribe Called Quest, collaborated with poets Amiri Baraka and Ntozake Shange, choreographer Ron Brown, and actress/author Anna Devere Smith. Lake is also an artist with deep ties to COAP. He created the original art for the COAP “Jazz House” residence at 320 Sampsonia Way and, according to City of Asylum, “he has been the guiding force behind [COAP]’s annual Jazz Poetry Concert.” Lake has performed at the festival in Pittsburgh with a different group each year since 2005. He also composed the original music for “What is Home?” a work commissioned for Pittsburgh’s 250th anniversary celebration. He will be reading from his new book of poetry If I Knew This. 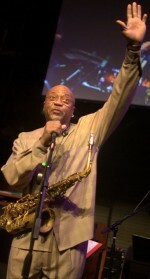 Read an interview with Oliver Lake and Tarbaby from Jazz/Poetry 2011. From the corner of North Avenue and Federal Street. Go up the hill at Federal Street. Go past the library (on the right), past Sampsonia Way, and turn left at the next corner (Jacksonia Street). Turn left on Arch St. (2nd stop sign). The next corner is Sampsonia Way. Turn left. The church is on the first block, on the left. There is a parking lot. There is an indoor lot at 1301 Federal Street (in the medical office complex). If you park in this lot: Walk one block up the hill on Federal St. Turn left on Sampsonia Way. The church is a short block on the right, at the corner of Reddour St.